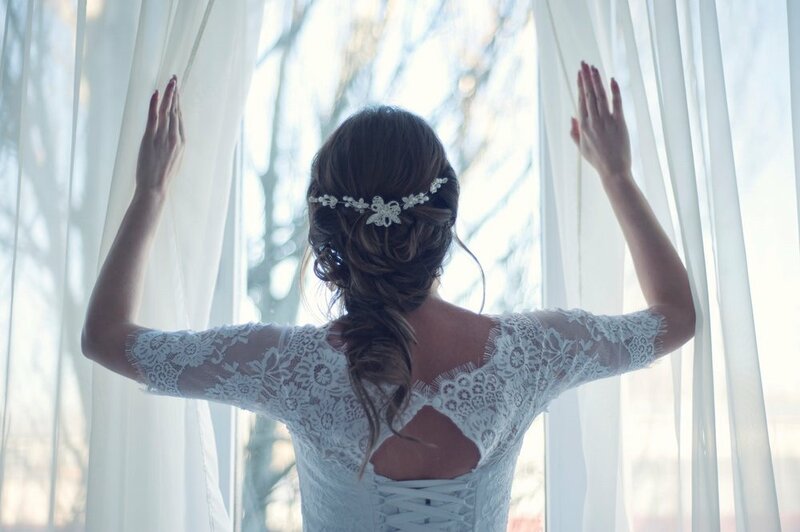 As a bride, it is your job to decide what each of your loved ones will be doing in your wedding. Whereas some roles are clear-cut and require no thought, there are some people who do not fit into any role perfectly but absolutely have to be in the wedding. Are you wondering where to fit a young member of your family who is too old to become a flower girl and too young to wear a full-fledged dress as a bridesmaid? Finding the perfect bridesmaid dresses for teens is a challenging task, but not an impossible one. Attending bridal parties is a fun endeavor for teens, but finding the right dress can be no less than an ordeal! They often find themselves stuck in the middle, unable to find an age-appropriate dress that goes well with the theme and the other bridesmaids’ dresses. So, here we have compiled a few tips to help you find the ultimate bridesmaid dresses for teenage girls. Teenage girls can wear a white or an off-white dress to match the flower girl’s dress whilst pairing it with a sash to go with the bridesmaid’s gowns. This way they will be able to perfectly match their dresses to the flower girls and the bridesmaids. If your teen bridesmaid is a bit bulky, she might be able to wear junior bridesmaid gowns, though, you may need to make a few adjustments to the chest, waist, and neckline of the gown. If you want to twist the look a bit, you can add straps to the dress, making it look different from the dresses of the rest of the bridesmaids, who may be wearing a strapless version of the gown. When shopping for bridesmaid dresses for teens, go for sweetheart necklines or scoop necks that look incredibly beautiful on younger bridesmaids and are a popular choice amongst them. Moreover, if the teenager is able to fit into the bridesmaid gowns, she can alter the look by adding cap sleeves or straps to the dress. Junior bridesmaids should never opt for formal hair updos such as buns, as they tend to make them look older. Instead, they should go for side braids and loose curls to give a softer and more youthful look. To complete the look, add a pair of elegant studs or a soft pendant. These tips will surely help you find the perfect bridesmaid dresses for teens that will allow them to set their own style statement and look ethereal on this tremendous occasion.